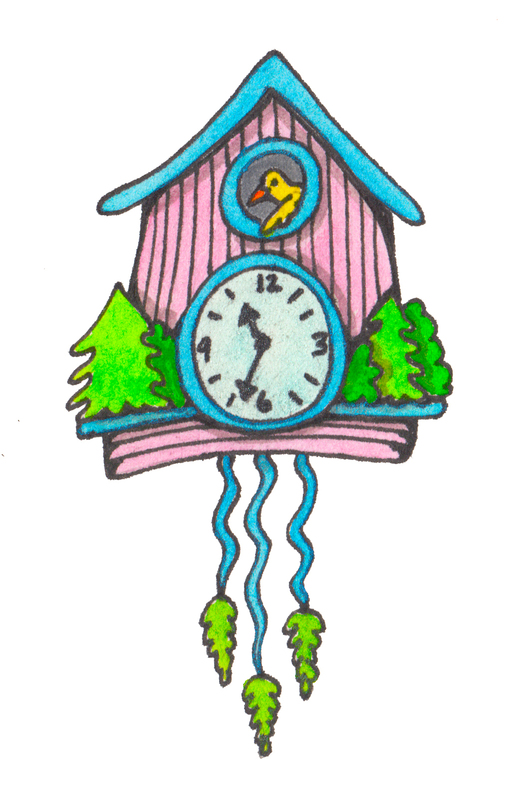 Yesterday I mentioned that I was going to share some cuckoo clocks I sketched for a class I’m taking. I’m sharing them on my blog just for for kicks and giggles. Keep in mind… these are rough sketches to come up with creative little cuckoo clock ideas. I only picked one to post to the class gallery. This was NOT the one.